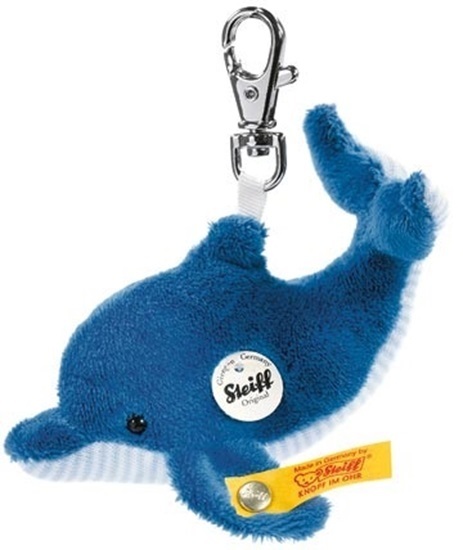 Clippy Dolphin Keyring by Steiff is 4 inches long and made of blue plush with a blue and white striped knit underside. He is machine washable in a mesh bag, in cold water. Perfect to decorate backpacks, or to locate the keys in your purse.